This is a guest blog by Scott Woodrow, associate director at Pure Resourcing Solutions, a recruitment consultancy firm in the East of England. With IT being the fastest growing industry in the UK, it’s probably not too surprising that we’re seeing a significant skills shortage, especially in the areas of web development and software engineering. I work for Pure Resourcing Solutions (Pure) – a leading recruitment consultancy firm in the East of England. We’re finding that the IT job market has become particularly buoyant in the last year in Cambridgeshire, Essex, Norfolk and Suffolk. And over the next 12 months we expect to see new technology vacancies emerging as the regional economy strengthens. Many local employers are struggling to fill permanent IT vacancies, but they’re offering competitive salaries and generous benefit packages to attract and retain the best talent. This trend is expected to intensify throughout 2015. According to data from Compare My Salary (the UK’s only live peer-to-peer salary comparison website), senior wages in the eastern counties exceed £100,000, and almost one quarter earn between £40,000 and £49,999. Annual bonuses range from £300 to £15,000. We’re also seeing more people escaping long commutes and crowds of big city life as they relocate to this region. North Essex, Suffolk and Norfolk are seeing growing SMEs advertising for new IT staff to support their development. With around 548,000 SMEs in the East of England alone, these opportunities are probably set to increase as SMEs engage more with customers through digital channels. As a result, more roles are emerging in user experience, e-commerce and data management, as well as traditional IT support. Also, SMEs in our region need IT staff with non-traditional skillsets. We know of digital marketing agencies that are looking for developers for client-facing roles, for example. Ipswich has an established financial industry in need of more IT professionals. Plus, with increasing business investment in the local start-up scene, the signs here are very positive for plenty of new jobs. And if job seekers want to work with bigger names, the East of England is also home to employers including BT, Aviva, KLM, Konica and Benefit Cosmetics. But I couldn’t talk about the region without mentioning Cambridge – one of the world’s centres of technology. Research shows that the city is the best place to look for work, with 10 vacancies to every job seeker. Dubbed ‘Silicon Fen‘, Cambridge is home to successful technology firms, making it a strong contender to London. Also, the city is thought to have 18% of the UK’s £1bn gaming industry – it’s home to companies such as Jagex and Sony Computer Entertainment Worldwide Studios. Cambridge’s innovation cluster includes global names such as ARM, CSR and Microsoft Research, and Apple is due to open an office here. And with some of the world’s brightest minds and global commercial deals, it’s safe to say that the options for IT workers will remain excellent. But job seekers shouldn’t focus on the city – we’re seeing many more progressive employers around the eastern region now offering opportunities for long-term career development. Although income is a key factor, we’re hearing that IT candidates want more from a new job. They also want to work for a business with vision, to work with the latest systems, and to push their professional boundaries. They also want to know whether the business is a good employer. In response, regional employers are promoting themselves more openly when recruiting, so candidates can get to know the company behind the job. Take Adnams in Suffolk for example. The brewery is currently recruiting an IT Director so Pure is promoting its brand including its award-winning status as a ‘Best Employer’, to attract high-calibre people. Overall, the job market in the East of England is certainly a viable alternative to the more traditional hubs such as London and the M4 corridor. The job market is ripe for people seeking both permanent and contract roles. But I recommend job seekers sign up with just one recruitment agency: one with a good client list and one that will meet you in person to find out what you really want. It’s the most effective route to finding the right job and the right employer. This is a guest blog from Edwina Dunn, chair of the Your Life Campaign, which seeks to inspire young people by championing the range of career opportunities unlocked by studying maths and science. Last week, the very latest in cutting-edge technology from around the world was showcased at the Consumer Electronics Show (CES) in Las Vegas. While the programme was dominated by announcements from the likes of South Korean Samsung and LG and American Intel, British companies and entrepreneurs were few and far between. Given Britain’s track record of innovation, its under-representation at this year’s convention is surprising. From the first foray into computer programming led by Ada Lovelace in 1800s to Tim Berners-Lee’s invention of the World Wide Web a century and a half later, the technology revolution has been led by those from the UK who are unafraid to challenge the way things are done. To get Britain back to its best, we need both great innovation and great people. While there is no question about the quality of research produced in the UK, for this to make a real impact on the world stage, Britain must address its current skills deficit. According to the Campaign for Science and Engineering, the UK suffers from an annual shortfall of 40,000 STEM-skilled workers. By 2030 7.1 million UK jobs will rely on science skills a 1.3 million increase on today’s number. If we are to meet this demand, young people must be encouraged to continue studying science and maths after these subjects are no longer compulsory. Far too few young people, even the highest performers, are gaining the essential skills acquired through studying science and maths to university level – for example 80% of girls who achieve an A* grade in physics GCSE do not continue the subject to A Level. The careers of the future will rely on the skills learned through STEM subjects, and it is vital that we inspire the next generation with the full range of possibilities they unlock. While 79% of young people would consider a STEM career, 51% say they know little or nothing about the type of jobs on offer. CES itself is a great example of the careers possible for individuals with a solid foundation in STEM subjects – from self-driving and hydrogen cars to virtual reality headsets. Only with these examples will we be able to confront traditional perceptions of science and maths and make the real link between exciting jobs and STEM skills. This is the idea behind our Formula 100 competition, which invites schoolchildren aged 11-18 from across the country to submit a 30 second video, describing what they would invent and why. 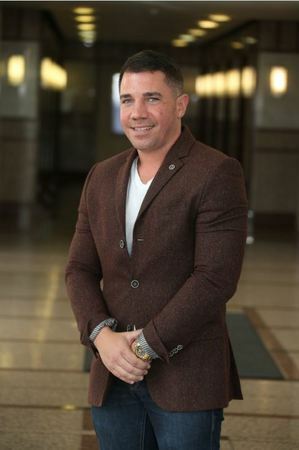 The competition will work to build an ongoing membership group of 100 students, who will be offered the support of entrepreneurs and business figures to help guide their career choices. If Britain is going to lay its claim firmly on the technology of the future, it is of the utmost importance to inspire a culture of innovation among schoolchildren. Only by emphasising the tangible and exciting applications of the skills learned in maths and science, will Britain be able to motivate its next generation of world-class innovators. The Skills Show is the UK’s biggest skills fair where minds of the future get a taste of what the world of work looks like. CompTIA was there in November 2014, where we were busy demonstrating the exciting opportunities that a career in IT can lead to and the kinds of skills that the industry needs. Together with our friends at Bletchley Park, Intel, Birmingham City University, Remote Training Solutions, Rapid Education and Fuze, we had a number of activities on show, from programmable Lego sets, football playing robots to code breaking tasks. Whilst at the Skills Show, we surveyed pupils and teachers that came to our stand to delve into what they thought of the IT sector. The responses showed a shift in perception of the IT industry, with the sector starting to be seen as a more attractive place to work. In contrast to evidence from the last few years that has shown young people perceive IT as a ‘geeky’ and ‘boring’ subject, the vast majority of pupils we spoke to indicated that they thought IT is a cool subject and were aware of the variety of activities that IT consists of. There is more of an awareness amongst young people of the programming and computer science behind most of the devices we use every day, which is something that we arguably lacked just a few years ago. One of the major steps that has undoubtedly contributed to this – and will continue to help in the future – was this year’s revamp in the ICT curriculum across the UK. In its place is the new Computing curriculum, which sees pupils learn more fundamental skills such as coding and programming, rather than one dimensional lessons on how to use software. Through lessons like these, kids are starting to learn the practical applications of IT, and this was reflected in some of their comments on the day. Many pupils, for example, were particularly excited about how simple coding can be used to programme Lego cranes and bridges to move according to instructions they set them. Security is also slowly but surely making its way into children’s use of technology. Intel ran a small security related activity, which highlighted how easy it is to get hold of personal information from Instagram posts. Pupils who took part were surprised at how easy it was, and suggested that they would take more precautionary steps in the future. This positive feedback is welcome news at a time when the UK is facing a huge digital skills shortage. In 2013, CompTIA research found that a quarter of UK Businesses planned to hire additional IT staff, yet saw challenges in finding qualified and experienced workers. Unsurprisingly, 48% of business respondents indicated a concern for current IT labour quantity or quality. Whilst the majority of pupils have a positive perception of the IT industry, that is still half the battle and we as an industry know that we can still be doing more to address the skills gap. There are a number of ways we can make this happen and make IT more engaging for kids – such as independent industry initiatives like Raspberry Pi Foundation’s multiple creative projects. Tom Briggs, Education Officer at Bletchley Park, who was demonstrating the Engima Machine with us at the Skills Show suggested that there still is opportunity for further integration of Computing into the curriculum. Computing underpins most of what we do in the real world – and elements of the course should be integrated more closely into other subjects so pupils are further exposed to how IT makes the world function. These thoughts were echoed by Duncan Maidens at Birmingham City University who argued that kids aren’t seeing enough of how IT relates to other fields like engineering and design for example. They are only seeing one small part of the sea of possibilities at present. This engagement ultimately starts with teachers he argues; any change begins with them. Perhaps this is where work around breaking stereotypes starts too. Seventeen out of 20 pupils said that a typical IT worker is male; a gender role perception that has not changed much at all. The fact that stereotypes like this still exist does still show there is work to be done, despite an overall shift in attitude. Going a step further, there is still room to improve on the new curriculum itself. By introducing a broader range of practical IT skills, in addition to coding, we can ensure that the IT workforce of tomorrow is equipped to deal with future challenges of all types. But this can’t happen unless we provide teachers with the right training – many IT teachers aren’t specialists in tech. We need to make sure that both teachers and students are equipped with the tools required to bring concepts to life in a practical way. CompTIA is launching a new web resource in 2015, called Skills Boost which will help students identify the range of career options available in IT, and provide clear career paths, showing the training required for each job. But despite the doom and gloom surrounding the shortage of skilled IT workers, our conversations with pupils shows that IT is becoming more desirable and more practical. While solving the skills gap is not a short term project, the future does look to be filled with bright minds that understand that IT is a crucial part of what makes the world go round. 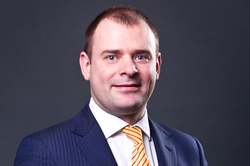 This is a guest blog by Phil Dunmore, vice president of Cognizant Business Consulting. The issue of STEM (science, technology, engineering and maths) skills – or lack thereof – among the next generation is never far from the news agenda. It has been suggested by many organisations, including the Confederation of British Industry, that the UK faces a serious shortage of graduates in these subjects and that the consequences are serious enough to threaten our future economic prosperity. Several steps have been taken to try and address this, from the addition of coding to the National Curriculum to a newly revealed, government backed campaign to increase participation in maths, science, and physics A-levels by 50%. But there is also a vital role here for technology orientated companies. We all have a vested interest in keeping the UK at the forefront of STEM innovation, and in attracting the best talent to come work for us, particularly when research suggests that a lack of relevant careers advice was a major factor in students not pursuing STEM-based further education or jobs. At Cognizant, this is a topic that’s close to our hearts and one where we are taking action. A couple of weeks ago, we held the latest in a series of events where local pupils come in for a day to spend some time with some of our recent graduates and learn more about what a career in STEM looks like at Cognizant. 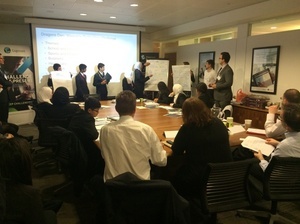 These ‘Insight Days’ take place regularly in our offices across the world, but on this occasion we welcomed thirty Year 9 students from two secondary schools in Newham and Fulham to our UK headquarters in Paddington. In the morning, the students took part in some interactive games around technology innovation and heard from our graduates about what studying STEM subjects at university is like. Then the afternoon saw me and three senior colleagues act as the ‘dragons’ in a Dragons’ Den style challenge about wearable technology. This exercise in particular allowed the students to express their creativity and teamwork skills, whilst also learning about how frequently STEM related topics touch our everyday lives. The students were divided into seven teams, with a mix of pupils from each school, and given a vertical market to target, ranging from Sports & Fitness to Transport. They then had just one hour to come up with a new wearable technology solution, thinking about everything from design and functionality to audience and marketing strategy. It might seem familiar to anyone who watched a recent episode of The Apprentice, but with one key difference: the ideas that were generated were actually really quite interesting. They included a ring that would allow teachers to track the emotions of their students to better understand their engagement and attention during lessons, a smartwatch that would allow the wearer to transmit movements into video games and a smart shoe that would track the wearer’s health as well as store energy from walking to recharge a phone. My fellow dragons and I were all seriously impressed with their ideas, which were all based on highly relevant insights and market trends. For example, healthcare in the wearables market is currently an extremely hot topic, and almost every idea presented to us looked to capitalise on that trend. The students also showed very strong collaborative skills, forging relationships with pupils from another school, brainstorming and then presenting their ideas in little more than an hour. When discussing what had been learnt from the day, the pupils talked about the extent to which they are surrounded by STEM but often do not realise it – whether at school, at home or out with their friends. By showing how subjects normally perceived as ‘boring’ such as maths or physics relate to students’ everyday lives, we can hopefully create a meaningful connection that demonstrates their relevance and drives curiosity as to where they could take the technology next. The other huge benefit of the day was to give the students a taste of the real working environment. As one teacher put it to me: “This has been a truly invaluable experience; it has provided my maths students with a great opportunity to get out of the classroom to understand what exciting opportunities exist. They have all been left highly motivated”. It let them see what life at a company like Cognizant is like and got them to consider, perhaps for the first time, what their careers after finishing education could look like. There are also benefits for us too. It is always very valuable to spend time with young people in this way, exploring the issues that matter to them and hearing first-hand how they view and interact with technology. One important point to note is that the pursuit of STEM studies does not necessarily need to be entirely at the detriment of the Arts or STEAM (science, technology, engineering, arts and maths). Creativity, lateral thinking and the ability to communicate are crucial skills in progressing through the ranks in an organisation, which is why we support those from the CBI and other bodies who have recently stated that pupils should also be strongly encouraged to learn a language or other creative subject. It is our hope that initiatives like the Insight Days succeed in putting STEM subjects back on students’ agendas. Getting the next generation enthused about STEM, and showing them how much of their everyday life is connected to it, is crucial if we want the best talent to come into the industry and continue to push boundaries in the future. The government has been taking action, but those of us in the industry need to do our part too. The lack of STEM skills in the UK is a topic that is continuing to make new headlines. Just recently the Labour party took to social media stating that by 2020 the UK will need 780,000 trained engineering professionals in order to meet industry demands, yet we are currently only training less than half that number. While this growth in demand is a good sign for the industry, it is concerning that we are not on track to fulfil this need for skilled workers. Of course this problem is not just limited to engineering; at the beginning of the year Semta (the sector skills council for science, engineering and manufacturing technologies) claimed it faced a shortfall of 80,000 workers within the next two years alone. In March the CBI called for major action to be taken to address a STEM skills vacuum. So it was encouraging to see from our recent research that over half (52%) of 11-18 year olds want to pursue a career in STEAM (Science, Technology, Engineering, Digital Arts and Maths) related industries. Note that the ‘A’ that has snuck in here stands for digital arts, an area arguably as important to our future economy as science, technology, engineering and maths – just look at the strength of the UK film, gaming and visual effects sector as evidence of this. Remember when you used to buy your office software on a CD and install it? Not now – you download it or simply point your cursor at a link. So, armed with a browser on their trusty smartphone or tablet, learners and teachers are freed up in ways they never dreamt of five years ago. Forget Bring Your Own Device (BYOD) – the new acronym is UMODD (Using My Own Device and Data)! 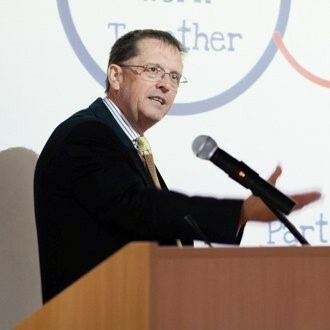 James Penny, solutions director at European Electronique, shares his insight into how cloud computing can have a positive impact on education. Schools are about learning. All schools want to provide the best quality learning opportunities for the young people they serve. ICT is clearly an essential part of the learning environment in the 21st Century. But what we want is technology that sits seamlessly in the background, is ready to use when needed, always on and always up to date. It needs to be simple but powerful yet easy to use. In fact, exactly what we get when we use our personal mobile devices. So why can’t we bring that simplicity to the infrastructure of our schools? Well that’s exactly what cloud technologies can do. Put simply – Cloud technology can support more powerful learning. What is driving cloud adoption? Well it’s quite simple really. When devices were big boxes that were fixed by a wire to a network point, things were somewhat limited. But as mobile phone networks grew in power and smartphones became less ‘phone’ and more ‘smart’, accessing data services from anywhere became a necessity. But where do you store data, applications and everything else if the device and the user are constantly wondering from place to place? Well it’s obvious…and so the ‘Cloud’ was born as a convenient way of explaining where your stuff was stored. In reality of course it sits in a physical data centre on servers. It is the access that has changed. With wearable technology set to become mainstream in the next couple of years, mobility will be the watchword. The most powerful model for education is the idea of a Hybrid Cloud. The hybrid approach looks at where best to store data based on how the data will be used. Bringing together the best of what is available for free on the web with what is best hosted in a private data centre or left on the physical site enables the creation of a flexible and very cost effective approach. Cloud infrastructure is of course based on a pay as you go model so you can move away from the endless issues of infrastructure that keeps going out of date. In the traditional approach as soon as you install your infrastructure it starts to age. With a cloud model, you pay for a service so whatever is needed to keep the service at the same level is covered in the costs you pay. The cloud service provider updates the hardware and software as part of the costs you pay. This means that you can reduce the costs of supporting your infrastructure and just concentrate on the learning. You also only pay for what you use. With the range of services available via a web browser growing every day, combined with the proliferation of mobile personal devices, the opportunities for using cloud solutions in education are staggering. It is not fanciful to imagine that the role of the classroom will significantly change over the next five years. From being the place where facts are dispensed by a teacher at the front of the class, to a place where learners and teachers gather to debate and discuss, where facts and ideas can be explored and collated. Learning will spill beyond the boundaries of the school and beyond the normal times, all powered and supported by cloud technologies that are cost effective and reliable. We’ll never do away with schools and classrooms, however the use of spaces in schools will change as well as the way we educate, as we prepare our young people for a world where the jobs they will do may not even have been thought of yet. If you want to see what a mobile approach to technology can achieve, where classrooms have evolved and learning is liberated, then I would recommend looking at what the students and staff are doing at an academy on the Isle of Portland on the South Coast of England. The Isle of Portland Aldridge Community Academy, or IPACA to its friends, is a stunning example of how mobile devices and cloud technologies can be fully and successfully integrated into the everyday working life of students and staff. They support BYOD and UMODD and have an enlightened view about making the most of free web based resources. Even their teachers are different. They have experts in cloud tools and they have a Director of Digital Learning and Innovation, Gary Spracklen, who is pushing the boundaries. As their Patron, the world renowned Stephen Heppell (www.heppell.net) says: “We don’t know how good our learners can be”. By giving students the tools and the power of cloud technologies, IPACA are starting to see just what is possible. You’ll see a future where learners push ahead at their own pace, developing the knowledge and skills that will set them up for a successful future. After all – it’s all about learning! Check out www.ipaca.org.uk for more on what the future of learning really should be. This is a guest blog by Patrick Feast, director – training & development at IT recruiter Harris Global. According to recent figures from KPMG, the technology sector is expanding faster than any other UK industry. Not surprisingly, then, the latest report from recruitment body APSCo shows growth in IT job vacancies – but, worryingly, a drop in placement numbers as it becomes harder to find the right candidates. Recruitment issues are therefore moving up the agenda for companies that want to make the most of the opportunities that industry growth can bring. To recruit and retain the best candidates, tech firms need to have a real point of difference that gives staff a reason to select them – and which is big enough to stop them being tempted away by the competition or the lure of freelancing. Of course, offering a good salary is an important starting point, but in our experience, that’s not enough on its own. Especially when you are looking the twenty-somethings who are fuelling the IT workforce. Emerging ‘Generation Y’ has different values and desires compared to previous generations. Debt from university fees and the seeming impossibility of buying property has actually made money a less motivating factor. Increasingly they want to work for a business which looks beyond the profit sheet at making a positive impact on the lives of the people that work there, and also the wider community. Companies with foundations based on genuine Corporate Social Responsibility (CSR) values are starting to feel the benefit of this investment. We have seen candidates with three job offers on the table reject the big corporations and big money, instead picking the smaller firms with philanthropic and environmental credentials. CSR is also a great long term motivator. At Harris we work with a local organisation which helps people with long-term mental health issues on the road back to full time employment, giving CV advice, interview practice and mentoring to its members. This takes our staff, who are mainly in their twenties, well out of their comfort zone. However, once they start doing it they love it, and many go on to volunteer for the charity in their own time too. Interestingly, we have also found that adding a competitive element to CSR can work well too – dividing the company into two and seeing which team can raise the most money for a local charity. Also, in the IT sector, we are seeing amongst Generation Y staff a growing desire to be part of ‘real’ communities as an antidote to the virtual ones created by social media. CSR initiatives are a great way of creating a sense of community within a business, as well as real life connections that extend beyond the workplace. It can be hard work for a business to implement ethical, sustainable and philanthropic practices but it’s worth it. It helps profitability through greater staff retention, but not only that, it also provides competitive advantage by helping businesses stand out to their clients and customers. And if, on top of all that, it makes you feel great about coming to work on a Monday morning, that’s an investment with a priceless return. In its efforts to close the IT skills gap the company offers a training programme for ex-military personnel, which was first launched in the US and came to UK shores in 2013. The IT service provider put together a Corporate Office Collection Team of six uniformed military personnel, along with representatives from the British Legion and Barclaycard as well as FDM Ex-Forces consultants and employees who collected on behalf of the Royal British Legion’s appeal. 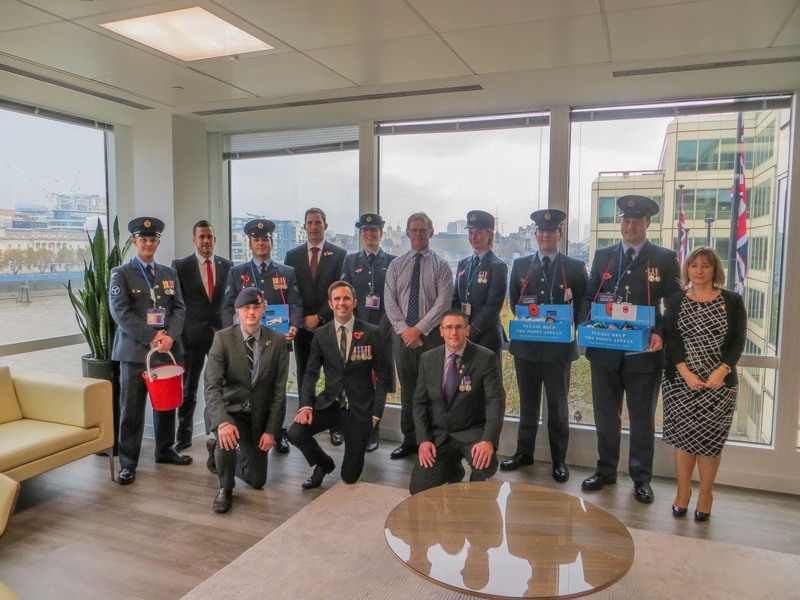 The team took part in the London Poppy Day event, an initiative which began eight years ago when a small group of ex-military friends decided to pin on their medals and sell poppies over their lunch breaks around Lloyds of London. 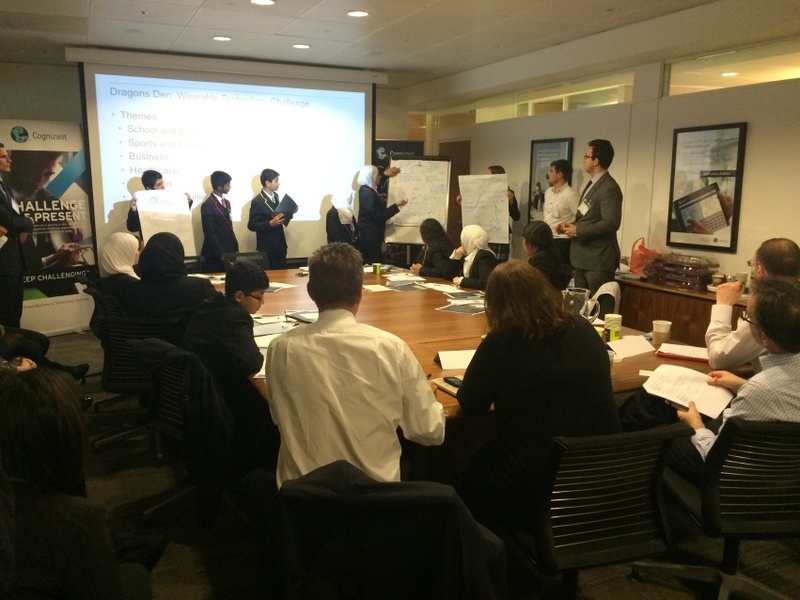 After collecting £500 in two hours they realised the potential in the idea and London Poppy Day was born. This year the collection day ended at Leadenhall Market where the armed forces met to celebrate their efforts. 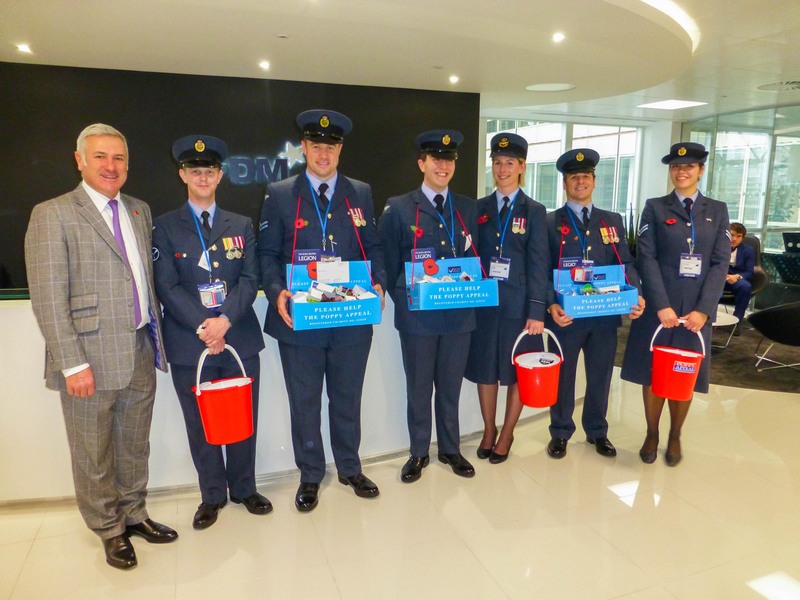 FDM Group has a strong background in supporting the armed forces. In February this year it signed the Ministry of Defence’s Armed Forces Corporate Covenant. In addition, FDM’s UK Ex-Forces Programme offers ex-forces personnel IT training in several business and technical disciplines. The training is then followed by commercial experience at FDM for at least two years. In the US FDM runs a Veteran’s Programme which focuses on transitioning veterans into professional IT consultants. The company offers 17 weeks training at its New York based academy, and two years employment with FDM once fully qualified. FDM’s staff will also be amongst those starting the Poppy extraction process at the Tower of London this week. I was taken aback by recent news that announced a worryingly high number of inaccuracies in technology candidates’ CVs. The survey by First Advantage revealed that more than 37% of CVs submitted to technology companies have inconsistencies, a markedly higher number than the national average of 27%. Most alarmingly, just under a third of all these irregularities were found to be ‘major,’ with 45% of discrepancies found in the candidates’ education history. This is particularly concerning given the current skills shortage within the IT sector. Recent figures indicate the industry is struggling to recruit the right talent and the problem is growing with the UK Council of Professors & Heads of Computing predicting a further 15% rise in IT jobs within the next ten years. Yet, 50% fewer graduates than a decade ago are seeking roles in our sector. The shortfall gap is increasing. As the tech sector continues to lead growth in domestic and export markets, it is critical we get recruitment and development right to support innovation and growth. This demands the industry as a whole, above and beyond London, to buoy national interest in our dynamic and exciting sector. Several major growth hotspots exist in Birmingham and the North West, which overall will support the bigger industry mission to grow. As a software business, we have found it challenging to recruit developers and the latest CV related news is perhaps an indication of things to come unless the industry takes a lead to drive engagement between education and the commercial world, improving the way we train people and make them ‘work ready’. But, it is very important we do it in the right manner. Software development requires a great deal of skill and expertise, and by creating a long-term shared plan, we can build a pipeline of talented skilled professionals from the grass roots up. Whilst it is early days for review, September’s launch of the new ‘code’ focussed IT syllabus in schools could be a sound first step, assuming it is taught as a problem solving and engineering subject by teachers with relevant skills. Hopefully it will teach students how to actually build software not just how to use it. As it stands we’re going to have a gap as we wait for September’s Year 1 intake to flourish and then we have to question how their early skills are going to be nurtured going forwards. Apprenticeships and skills development programmes can go a long way in helping to tackle the CV issue. We have seen considerable success in taking on young dynamic people at an early stage in their tech careers as apprentices. The investment we place in young people means that in the end, we aren’t just confident they have the skills – we know they do. Allowing individuals to develop while in employment is valuable to both the employee and the employer. Investing time in young people that are willing to learn creates brand ambassadors who are trained in line with the ethos of the company and are familiar with certain processes and business-specific technology. Nurturing this talent is so crucial and companies that retain apprentices as employees are likely to see the benefits – we certainly have. As a result, we are committed to bridging the gap between education and employment, upskilling a local workforce and providing local apprenticeships for school leavers and young people. Within the business, we have actually used our own technology to upskill new trainees – all via a software platform that enables us to teach our apprentices how to build business applications within just 60 days of training. We need to work harder to make it clear to candidates that they needn’t skirt around qualifications and experience on their CV. There’s a problem if people are getting put off from telling the truth. Candidates should not feel they need to hide their passion for the industry, even if their skillsets do not reflect this. The tech industry needs to be shouting louder that it’s this passion we’re looking for and there are plenty of opportunities out there that can develop the skills to match! If we want the British tech sector to grow we need to invest in our workforce – only then will we have a chance of bridging the skills gap and driving innovation. The UK tech sector continues to enjoy its greatest year of growth yet, becoming known as the ‘silver economy’ by many investors. With this success comes endless career opportunities for highly skilled graduates and new entrants wanting to enter the world of tech. Yet filling such positions has become a major business challenge. Research by the Confederation of British Industry and KPMG revealed that nearly half of London businesses (45%) believe the capital is experiencing a skills shortage, and that two thirds (66%) find it difficult to recruit highly skilled workers, with IT and technology roles being the most difficult to fill. In response to this, TechUK, the trade association for the UK’s technology industry, recently published a manifesto calling on the Government to foster domestic technology skills to safeguard the country’s digital economy, and secure one million IT jobs over the next five years. As well as the Government, London’s technology firms have a responsibility to entice young talent to the sector, by making it more appealing and accessible to the graduate workforce. Together with key influencers in the sector, we need to work to attract more talent to the capital by promoting the promising career opportunities that working in IT and tech can offer. Despite the IT skills shortage, London is still one of the best places in the world to do business and for graduates to start their careers. And for this reason, we continue to see major companies and startups flood the capital’s Tech City area, including Google and Apple. According to Bloomberg, London now has more jobs in financial technology than New York (44,000 versus 43,000), and because of Tech City’s proximity to the city, fintech startups are blooming. The economic success of London’s Tech City has been instrumental in attracting investment to the capital. This has led to increasing internship opportunities within the sector and it is becoming one of the best-paid industries for interns to work in today. It’s also renowned for being one of the most diverse sectors, with a multitude of different skills coming together from software engineering, marketing, design and fashion. As a tech evangelist, it’s great to see the significant impact the tech sector is having on the capital. Having just been appointed to the board of London First, a not-for-profit organisation promoting London as a business destination, I’m the first representative to join from Tech City. The IT skills shortage in London is an issue high on the agenda and one that we are keen to address together. London First will be raising awareness of the tech sector and IT skills at Skills London 2014, the capital’s biggest jobs and careers event for young people from 21-22 November. The event will provide tech organisations and influencers with the perfect opportunity to showcase London’s vibrant technology scene. The event will attract over 30,000 young people, parents and teachers and will provide young jobseekers with a better understanding of the careers available to them, as well as offering advice on how to gain technology and IT experience. It is paramount that London’s leading businesses recognise the opportunity Skills London presents, and participate in what is going to be a milestone event for the capital’s tech sector.